One important thing I learned about wall shelves is that you want the space between them to decrease as you go up. 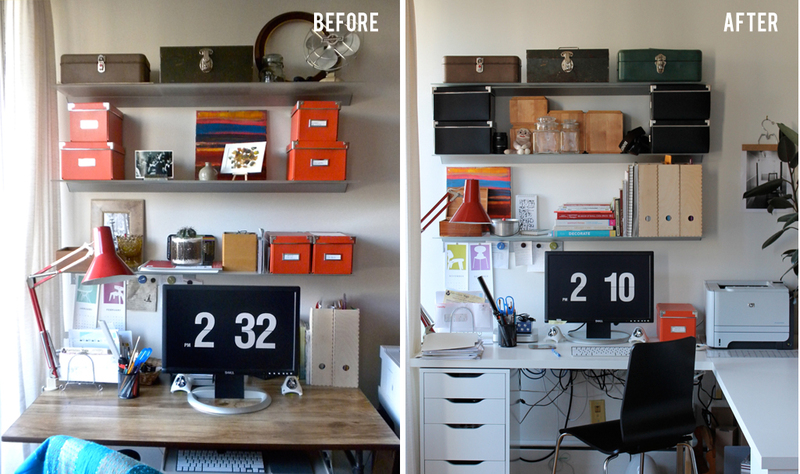 By the time I got this tip from the second Apartment Therapy book, I had already put up the wall shelves in my office. I had initially spaced the shelves evenly apart; if you look at the “before” photo you can see that the space between the top and middle shelves actually looks bigger than the space between the middle and bottom ones. It’s a visual distortion, and that is why it’s crucial to arrange the top shelves closer to one another in order to compensate for it. When I realized this, it bugged me to no end. The Dude told me to just accept it and move on. But it seriously ate away at me. Finally when I repainted the walls last fall, I took the opportunity to lower the top shelf by just an inch. It’s amazing how just one inch made all the difference in the world! I could finally look at the wall shelves and be at peace. I mean just look at the “after” photo. The shelves look so much better and evenly spaced out! Another tip I learned by simply looking at a lot of wall shelves on the internet is that you want to place less items on the shelves as you go up. I noticed that the best stylized wall shelves are the ones that don’t even hold anything on the top shelf – they are simply left empty! 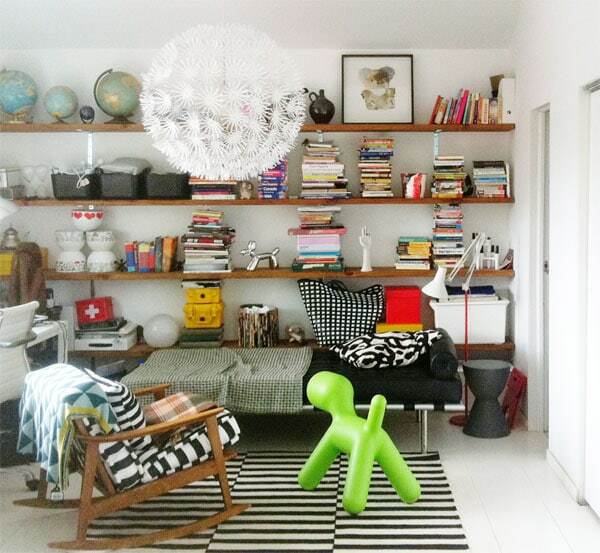 You want to create a sort of a pyramid effect when arranging things on wall shelves, i.e. going light to heavy from top to bottom. It mimics how things are arranged in nature (e.g. think of cascading waterfalls) and so our eyes find it visually appealing. Below is a set of wall shelves in our own apartment. Not the best stylizing job but I tried to mimic a cascading effect. 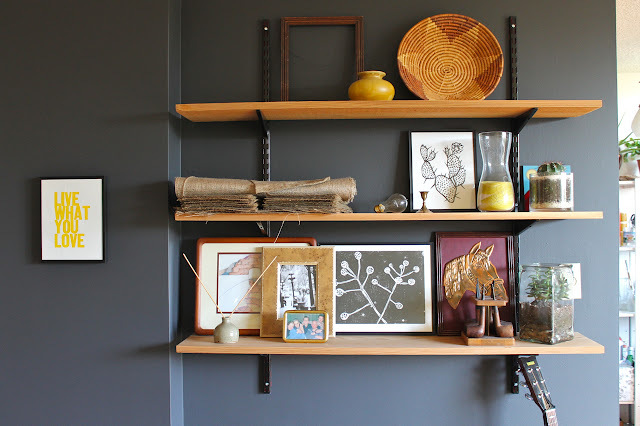 Here are better examples of well arranged wall shelves. Of course, rules are meant to be broken. Here’s a set of wall shelves I love that disregards everything I just wrote. The Brick House is the source of much inspiration for me.